‘Be Prepared’ has been the official Scout motto since 1907; a new tool will help city planners do just this in preparing cities to face changing weather patterns, and in creating more sustainable cities. This was developed by the SUDPLAN (‘Sustainable urban development planner for climate change adaptation’) project, which has received more than EUR 2.5 million under the ‘ICT for environmental services and climate change adaptation’ Theme of the EU’s Seventh Framework Programme (FP7). The tools’ developers believe that the changing climate will expose European cities to new and different environmental pressures compared to the past. SUDPLAN will help to assure a population’s health, comfort, safety and quality of life, as well as the sustainability of investments in utilities and infrastructures within a changing climate. With its open nature and architectural design, SUDPLAN contributes to a shared information space in Europe. The research team achieved this by taking predictions regarding climate change and distilling its impact to the city level. Many European cities are already dealing with the impact of climate change as the occurrences of river flooding increase. These are being linked to precipitation and melting snow in upstream river basins rather than to phenomena in the city itself. SUDPLAN makes it easier to plan for such flooding, as well as for other scenarios such as storm water flooding, or, at the other extreme, droughts and water shortages. Rising air pollution can also be assessed against national standards and environmental goals, and under a future whose climate has changed. One city that is already trying to deal with consequences of flooding is Wuppertal in Germany. Wuppertal boasts a population of 350,000 and is located in a hilly landscape. During heavy rainfall, the city’s storm water sewage system is quickly blocked by swollen creeks, causing the precipitation to run off onto the surface. This storm water run-off often damages valuable public infrastructure and private property. 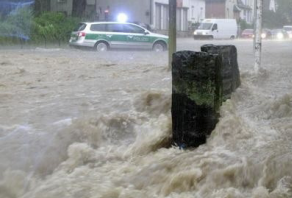 To make the situation even worse, climate change is considered to have an increasing impact on the frequency of heavy storm water events in Wuppertal. These factors make the North Rhine-Westphalia industrial hub an ideal test city for the SUDPLAN project. ‘Wuppertal has severe problems with flooding, with floods flowing like rivers down the streets. They can use this simulation tool to see the measures taken to change the city’s topography, perhaps building small-scale barriers on streets, and lifting pavements to prevent water entering houses,’ Mr Gidhagen said. The tool was tested in other cities, too. Stockholm in Sweden and Prague in the Czech Republic were selected for air quality testing, while Linz in Austria, was chosen for its water sewer systems. 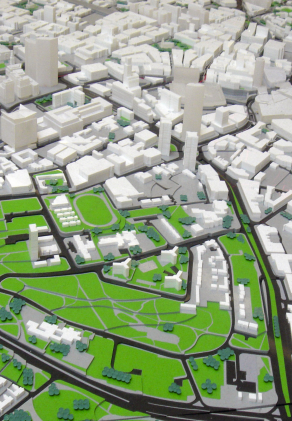 SUDPLAN’s 3D visualisation component, which comprises the most challenging part of SUDPLAN’s Scenario Management System (SMS), is currently available for public testing. This component is capable of handling the visualisation of SUDPLAN data/results in a geographical 3D context. Using the World Wind software development kit (SDK), it integrates geographic information system (GIS), visualisation and simulation results. The data types supported by the SUDPLAN 3D Component range from 1D data (e.g. geo-referenced measurements of precipitation), to temporal 3D data sets (e.g. 3D air pollution time series).